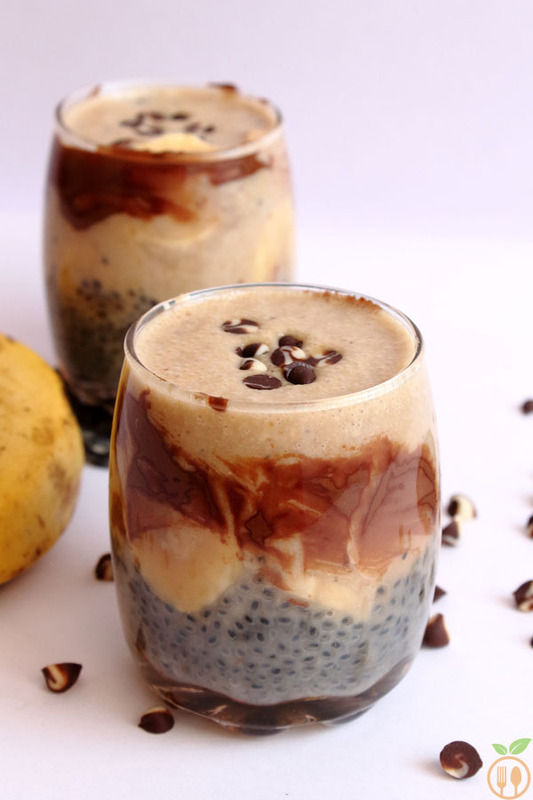 I found this chocolate banana smoothie with chia seeds, a power packed option for a healthy smoothie in morning breakfast. Though I am little late to smoothie, I have created very tasty, healthy and yet easy chocolate banana chia seeds smoothie. Spend just 2 minutes in night to soak the chia seeds and you will have healthy breakfast for your next morning in 5 minutes. During this summer Mint Kiwi Lemonade and Rose Milk are the drinks are best options for me in these hottest days. I have to make one confession here. I was not familiar about chia seeds before this incident. One day, I was watching very good food photography video, and in that they were teaching how to take drinks photos. It was chia seed smoothie photos and I was wondering what is this lovely ingredient??? My mother-in-law were asking me what kind of video I was watching at that time. because she always interested in food recipe videos. I showed her that beautiful creation of smoothie, and she said “Ohh!!! 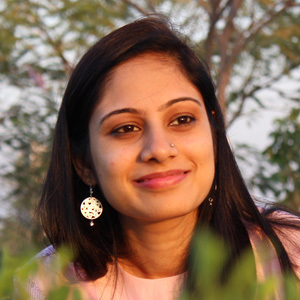 I know this ingredient…” She told me the Indian name of chia seeds (takhamaria or sabja seeds), which I am always familiar since my childhood. Now, I can create lots of best smoothie form chia seeds. After all it’s my childhood partner. You can use chia seeds in any type of drinks. it’s tasteless, so you can combine it with any flavored ingredients. 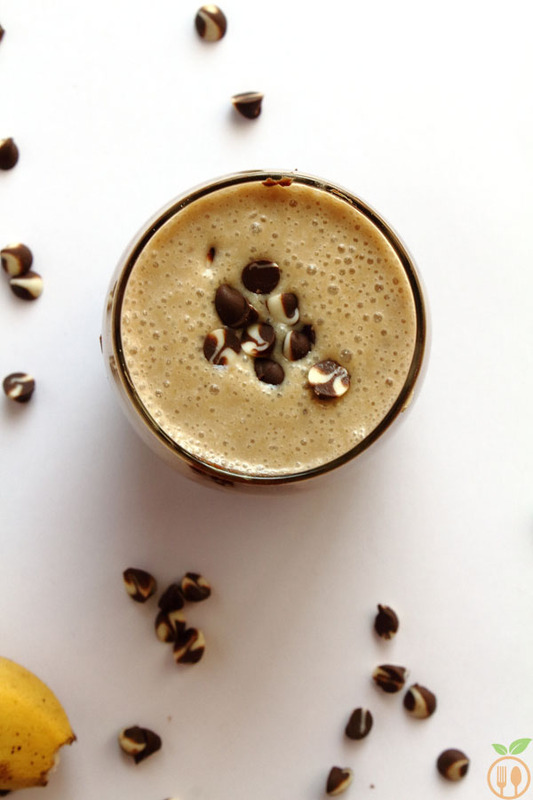 This is most versatile chocolate banana smoothie recipe using chia seeds. If you don’t have chocolate, leave it… add vanilla. If you don’t have banana. leave it… Only chocolate also works. You can use dates instead of banana. It is also a healthier option. You have to soak chia seeds for at least 2 hours to get perfect texture of it. You can soak it overnight. Once you have soaked chia seeds, you can store it in glass bottle in refrigerator for 1 week. Use as you required it in smoothie. I have added fresh cream in this smoothie. If you want to make law fat, you can avoid it. The amount of chocolate also depends on your taste. You can use natural sugar in form of dates or banana. 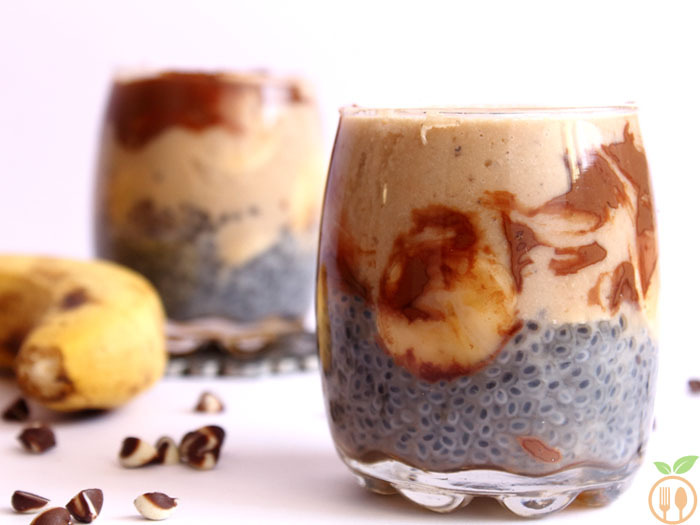 Chocolate banana smoothie with chia seeds is a power packed option for a healthy smoothie in morning breakfast. It is very tasty, healthy and yet easy. 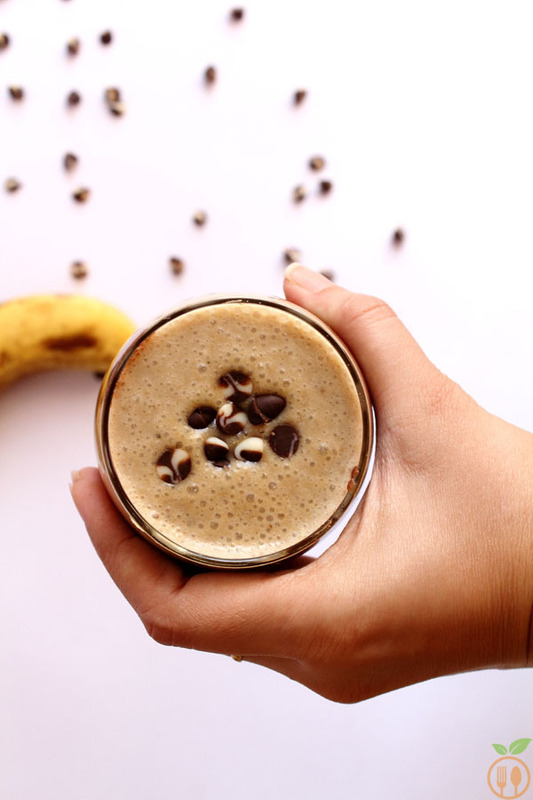 For chocolate banana chia seeds smoothie, spend just 2 minutes in night to soak the chia seeds and you will have healthy breakfast for your next morning in 5 minutes. You need to soak the chia seeds into 1 cup milk for at least 2 hours. It will raise and soaking the milk and almost triple in quantity. You can also sock it for overnight to get perfectly pudding like texture. Now in blending jar, take 1 cup milk (any), 1 banana, 2 tbsp chocolate, ½ cup cream and blend them till smoothie is ready. In serving glass, add chia seeds which you have soaked perfectly. Then slice 1 banana. Place the slices of banana into chia seeds. After 5 minutes, take out the glasses and pour the smoothie mixture in glass. Garnish with chocolate chips. 1) For breakfast, You can soak chia seeds into serving glass for overnight. and morning create chocolate banana smoothie and pour it into glass and you will have healthy easy breakfast in 5 minutes. 2) Do not store it. Or once you add smoothie in chia seeds, consume within 2 hours. Fresh smoothie is always the best option.